LJ Donnell is a writer and a novelist, and spends what free time she has getting into mischief with her friends and wily husband. You can find her on twitter and facebook. LJ Donnell has been a guest on 14 episodes. Summary: Hi! I'm Coyote and I'm... Gonna step in for a second to talk about what happened. You see, I was trying to come talk to my friend Anansi when... well then after that you see... then... oh! A radio! When I turned it on... Oh... yeah I probably shouldn't have done that. A story about a traveling troublemaker who, kneading money, bought a breadmaker’s ire with some half-baked shenanigans. A story about how Orunmila helped a mother protect her son from Iku, the incarnation of death. A story about how Coyote, despite dogged determination, was left lupining for his friends gifts. Culture: Akan. Based on a story by: Farida Salifu. Summary: A story about a spider whose eyes are too big for his stomach and his legs. Culture: Polynesian. Based on a story by: W.D. Westervelt. Summary: A story of when Maui unlocked the underworld’s door to the heavens, he thought he was doing a great good for his people. But when the sun, a thoughtless creature of heat and light, brings calamity to his people, Maui finds his work is far from finished. Culture: Greek. Based on a story by: Ovid. Summary: A story about the troubles caused by a slighted goddess who uses a golden apple to avenge herself when she was kept out of a feast. Culture: Germany. Based on a story by: Brothers Grimm. Summary: A silly story about a very fortunate peasant. Culture: Middle East. Based on a Story by: Sir Richard Burton. Summary: A story about a poor man who finds himself in an unexpected turn of fortune. Culture: North American Native American. Based on a Story by: Margaret Compton. Summary: A story about how a young boy’s kindness helps him to overcome adversity. Culture: Swahili. Based on a story by: Andrew Lang. Summary: A story about a boy’s misadventures with the King of the Snakes. Culture: Germany. Based on a Story by: The Brothers Grimm. Summary: The story of a boisterous tailor’s adventures. Culture: Inca. Based on a Story by: Sir Clements Markham. Summary: A shepherd and a princess’s pursuit of forbidden love. Culture: Ashanti, Ghana. Based on: African Storybook Initiative. 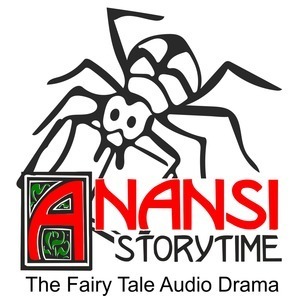 Summary: The story of how the Spider god Anansi brought stories to humankind.